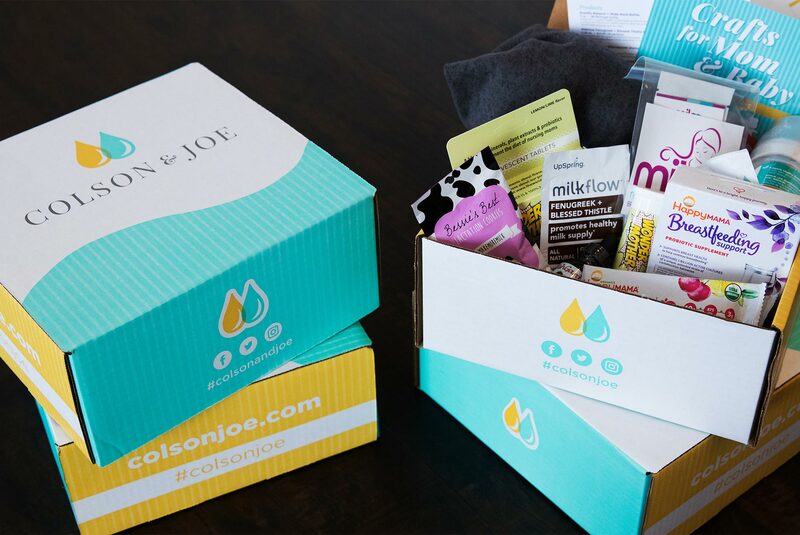 Starting a subscription box from scratch seems like a daunting task. 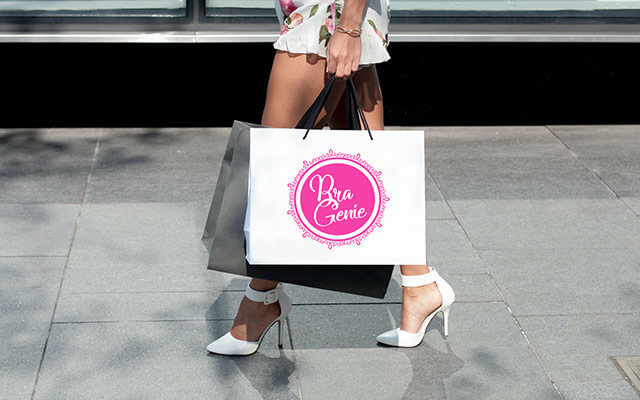 There are many components such as name creation, logo design (and overall branding), box design, and more. But our team was up for the challenge. 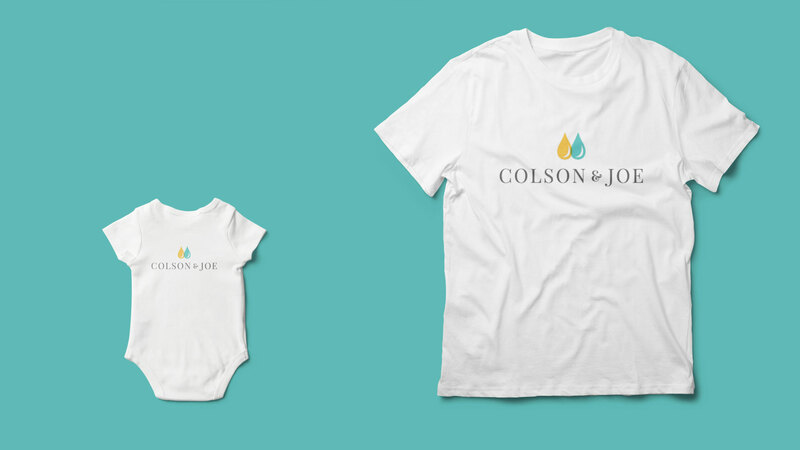 In November 2017, Colson & Joe, was born. Hours of research went into the naming of this company. Questions like how to convey that this was a product for breastfeeding without actually saying it circulated the office days, even weeks. We knew the name had to be special -- something with a story behind it. 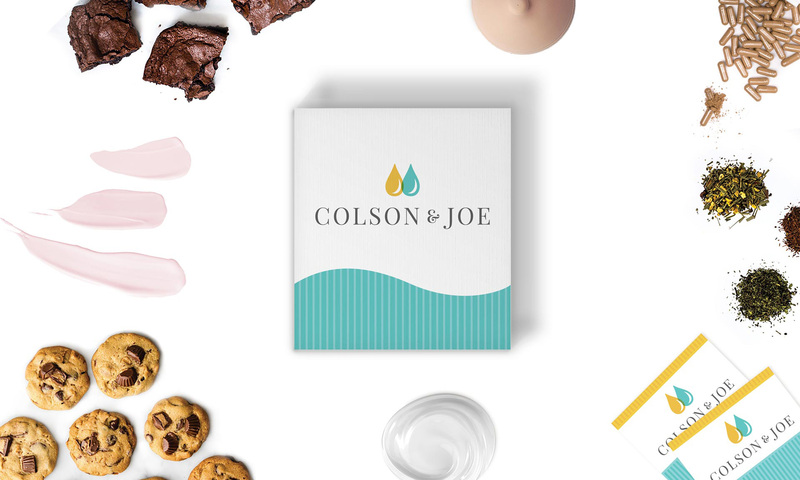 Colson & Joe is accurately named for the two little boys that inspired their mothers to help others on their breastfeeding journey. 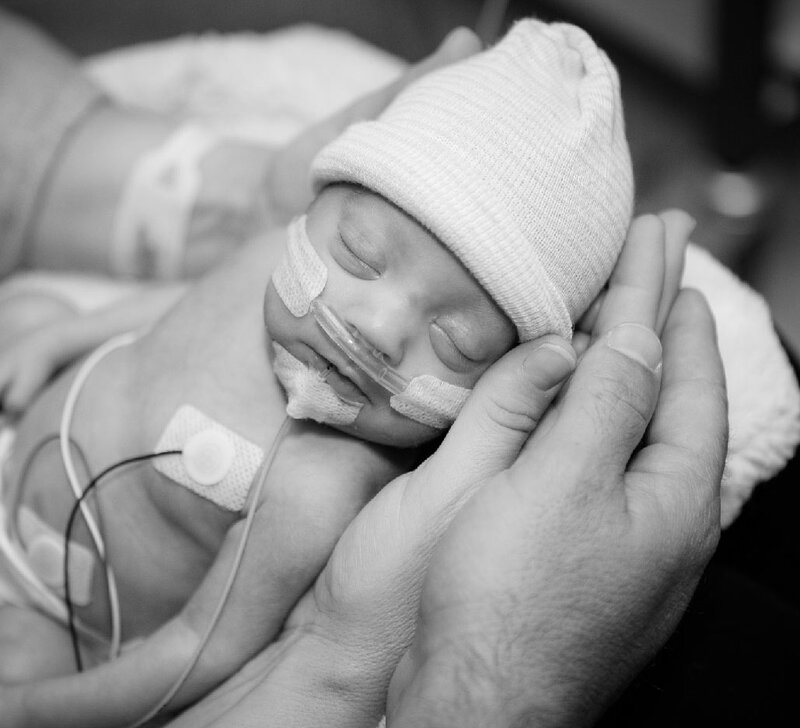 Joe being a NICU baby that survived because of his mom's diligence in pumping/being pumped. And Colson, the son of a mother who persevered despite the struggles she encountered. 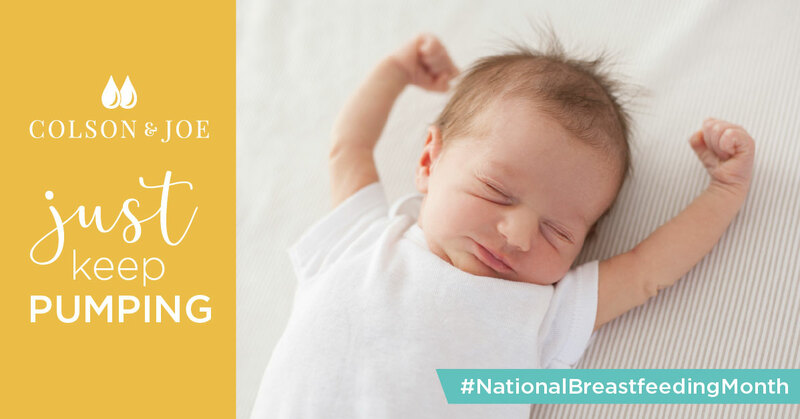 A mother’s breastmilk is so important to the development of a baby, it’s often been termed “liquid gold” in comparison to its value. 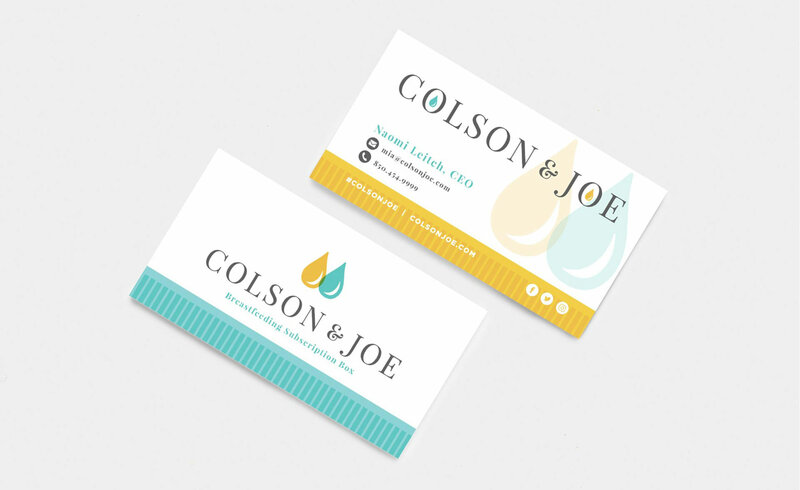 And it proved to be the primary inspiration behind branding Colson & Joe. 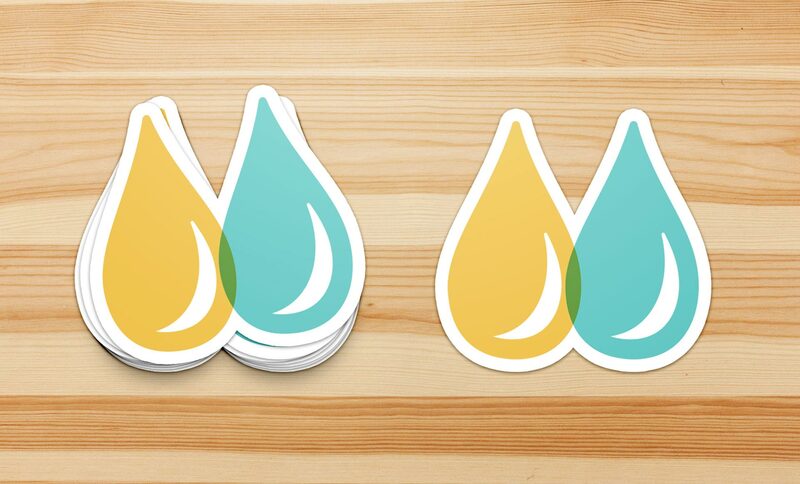 The drop of “liquid gold” breastmilk was perfect for creating a simple yet memorable logo mark. It’s also what inspired 50% of the color for the logo. But what of mothers who aren’t able to produce milk like they want to? While the primary goal of Colson & Joe was to help moms produce the milk they wanted to, sometimes, for different reasons, women are not able to produce the quantities their child requires. That’s where supplements or synthetic milk can come in to help provide babies with everything they need. Plus, it's the reason we chose a duplicate and complimentary drop of milk next to the gold one. It’s also no mistake that when put together, these two drops appear to resemble a woman’s bust. We did our research. 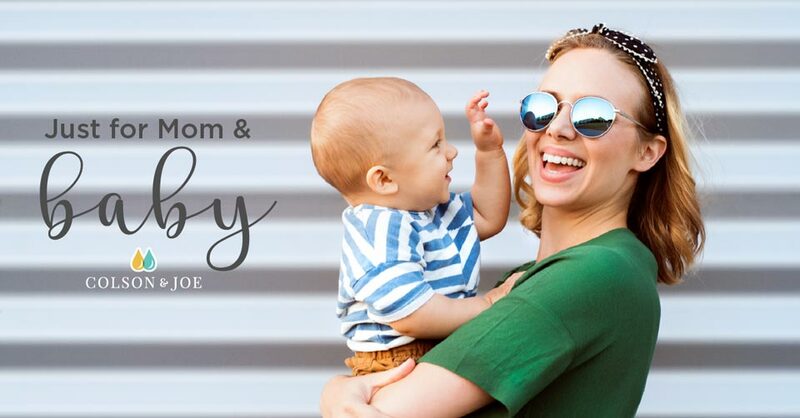 We asked local moms what they would want in a box, we researched other subscriptions boxes and ultimately put together a largely successful and carefully curated box. Each breastfeeding journey differs for each mom and we knew that the box had to reflect that. 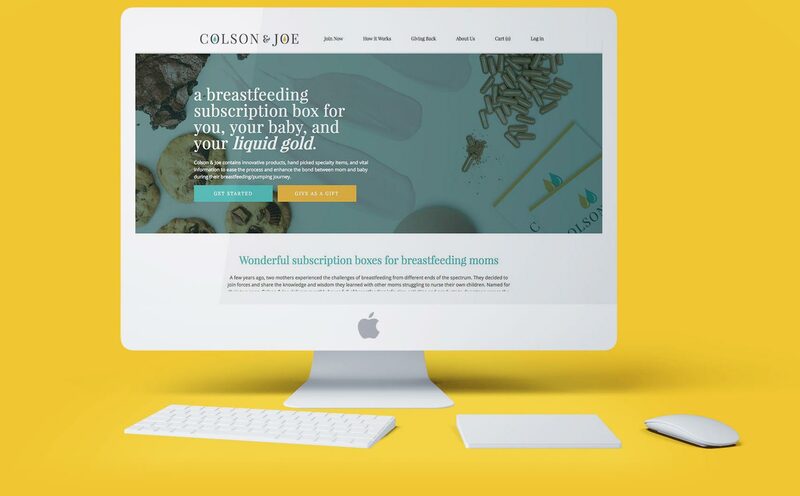 In each Colson & Joe box, you'll find educational information, interactive exercises and support products to enhance the breastfeeding experience. 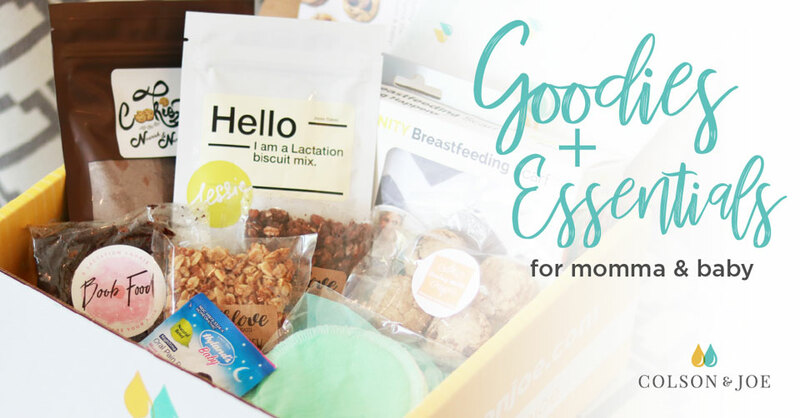 #1 ranking on Google search engines for "breastfeeding subscription box"
With such an intimate topic as breastfeeding, we knew the social media had to deliver an uplifting message for mothers--each channel being a place mothers could go for encouragement, as well as, to learn about new products in the boxes. 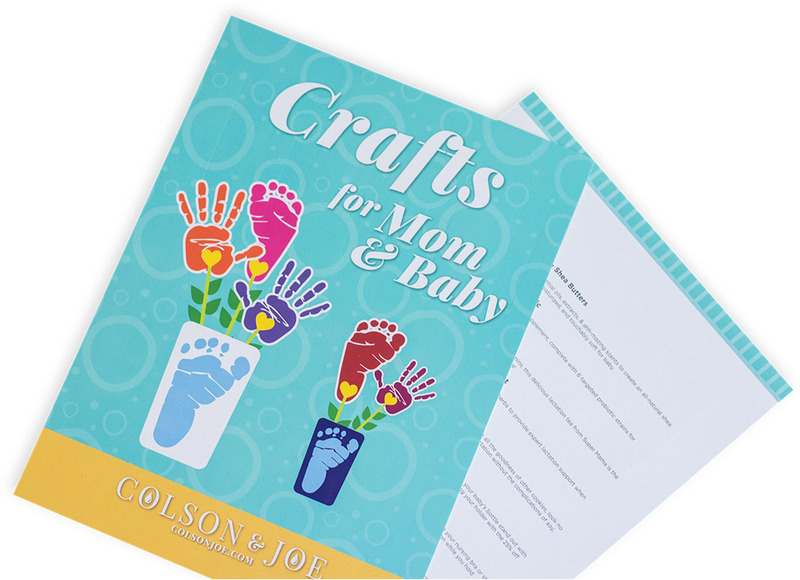 Each social channel is as carefully curated as the boxes Colson & Joe moms receive. Mixing real-life pictures of mom and baby with box and product photography drives home those feel-good vibes. 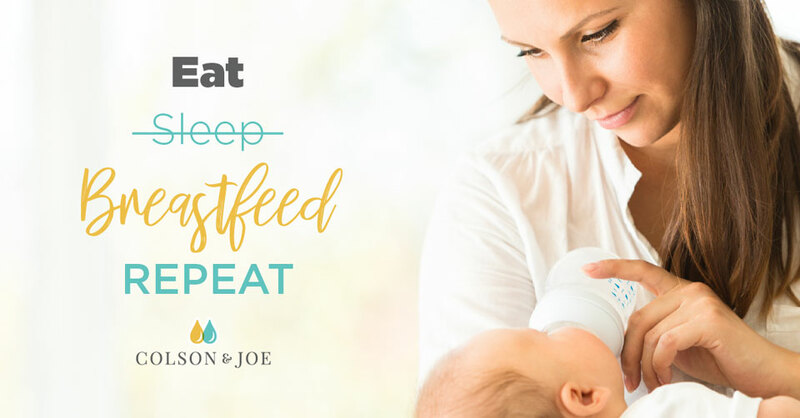 With Mia’s passion to educate and support breastfeeding mothers, and Jessica’s experience nursing her son in the NICU, the two women agreed their new company should strive to pay things forward by giving back. 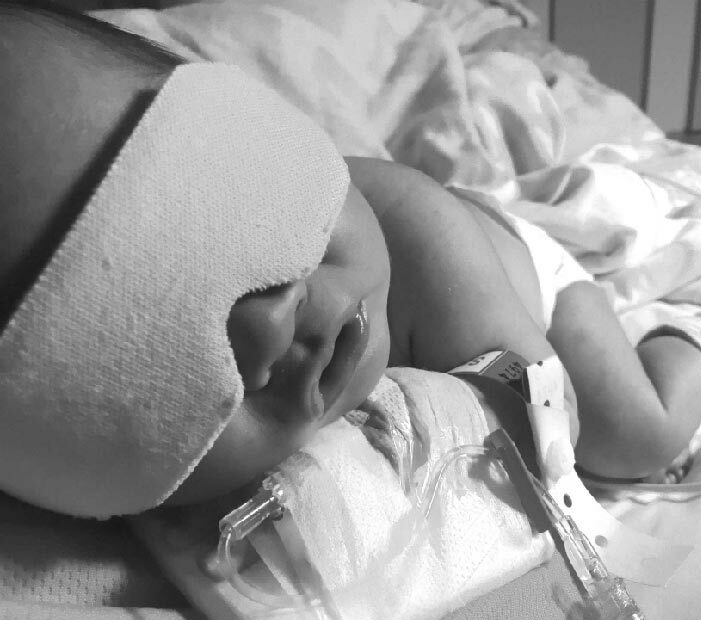 That’s why a portion of the proceeds of every box sold goes toward supplying free boxes to mommies facing the challenge of nursing their baby in a NICU.